Now more affordable than ever, the new TidalGard handheld monitor is compact and portable with a crisp High Definition LCD color display and Dual Diagnostic Waveforms. It provides immediate clinical feedback of SpO2, PR, EtCO2 and FiCO2 during anesthesia, such as depth of anesthesia, cardiac output and perfusion. The TidalGard S monitors digital SpO2 and PR. 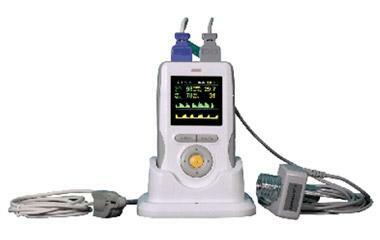 The TidalGard SC, which includes the EtCO2 sensor, also monitors EtCO2 and FiCO2. 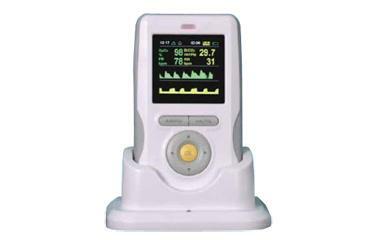 (The EtCO2 sensor can be added at any time to the TidalGard S). Veterinarians love the flexibility of the TidalGard with the choice of five available SpO2 sensors; Y-clip lingual (included standard), and optional rectal, transflectance, flexible wrap and c-clip, for the ultimate in sampling site selection, making it ideal for any patient, any procedure.